Google Docs is truly one of my favorite tools for teaching and learning because of the features it offers to support research, writing and collaboration in the 24/7 classroom. Here are some things to try with Google Docs as you make plans to use a little more tech and embrace change this school year. Google Docs supports a full-featured integrated Research Tool that is conveniently located right on the page of any Google Document or Presentation. This powerful Research Tool provides students with convenient access to information in manageable chunks that are ready for use. 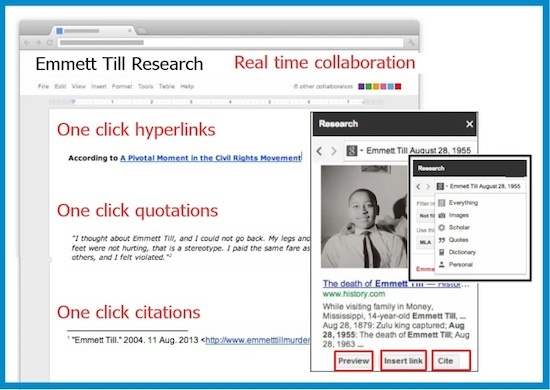 Students can narrow search results to find images, quotations, definitions, and more. In addition to helping students efficiently find information, the Research Tool can help students engage in real world writing by streamlining the process of creating hyperlinks and appropriately formatting citations. All this can be done with the click of a button found directly under each source in the Research Toolbar. The push button features provide teachers with the opportunity to introduce important digital citizenship skills to students as part of the research process in a way that is efficient, timely and manageable. Sharing and commenting options provide students with opportunities to receive immediate feedback on their writing from teachers and peers in the 24/7 classroom. Student can write, edit, revise, collaborate and share one copy of a live document, providing them with the resources and opportunities to significantly improve their writing. Students can collaborate in real time, creating opportunities for virtual mini-conferences. Of course, students are more likely to revisit their work if they know someone else will be commenting on it and they are more likely to edit their writing if they have the opportunity to publish it for an audience. The integrated writing and reference tools provide students with convenient writing support right on the page. A built-in dictionary supports 12 languages and allows user to look up words without leaving the document. Word Count capability provides feedback on number of words in a selection or the entire document. 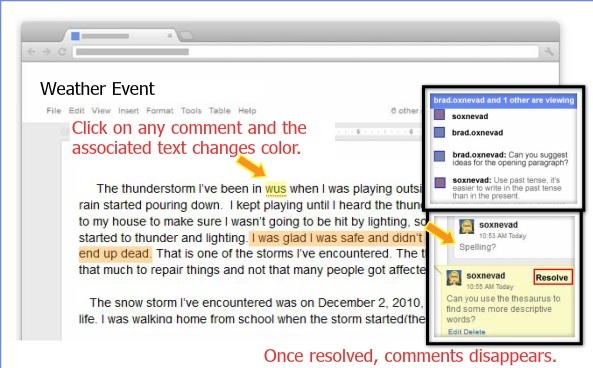 Built in Google-powered smart spell check allows students to easily identify spelling and grammar errors and access suggestions as they type. 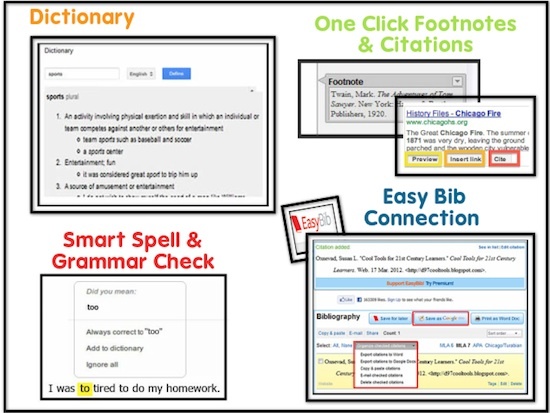 For students using a variety of sources, EasyBib will save a bibliography in a student’s Google Drive with the click of a button. 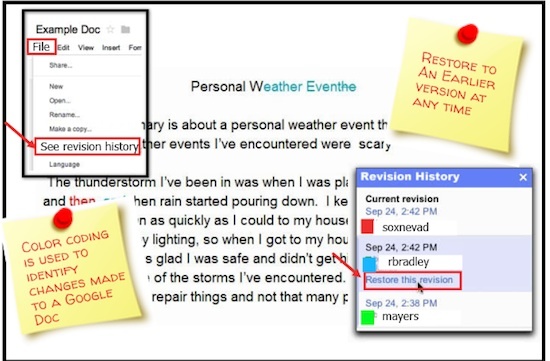 The revision history features provides users with access to digital documentation of changes made to any Doc. Review edits or revert to a prior version of a document at any time. Use the Revision History to track contributions made by individual students or to measure progress made on a document. 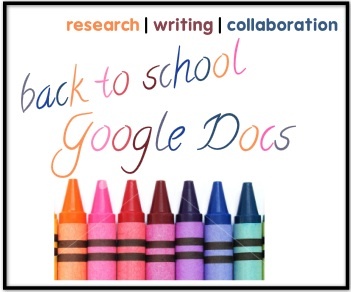 Google Docs is an efficient tool for for use as a starting point for teachers who want to provide students with opportunities for research, writing and collaboration in a digital workspace because of the availability of so many amazing features. If students in your school have access to Google Docs, it is definitely worth exploring beyond the basic features to discover the benefits of the using the tool for teaching and learning. If you are looking for more ideas, be sure to check out additional resources on this blog.